People daily use various websites and apps which require login credentials. It’s a hard job to create a secure password and remember all of them. So people choose easier way, they use the same password for all site and service. Many times, they use a common password which is very vulnerable to security. Your data can be stolen, and you can be harmed financially and emotionally. When you create a password next time, consider these things before making a password. 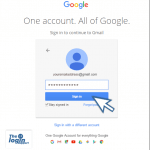 Do not use the same password for multiple accounts. So that even if the password for an individual site or service is compromised other login will be unharmed. Create Password at least 12 character length. Mix alphabets (a,b,c,d…) number( 1,2,3,4…) uppercase letters (A,B,C,D..), Special character (!,@,#,$…) while making password. Do not use a guessable password like your name, your family or spouse name. Create a password which is hard for others to guess. Using Birth date, Phone number or social security number is not a good idea. So avoid using such info. Using a dictionary word is not advised. Do not use common passwords like abcd1234 or iloveyou2 etc. Avoid writing down the password in an unsafe place. Don’t save the password in a folder in PC/laptop/mobile in a folder named password. Saved password in a web browser (Firefox, Chrome, Edge) can be revealed quickly. So avoid remembering an option on a browser. Avoid logging in primary accounts while you are in public WI-FI hotspot, a Web proxy or Free virtual private network. Changing the password every 2 or 3 months is recommended. If possible use 2 step verification. It adds an extra layer of security to your account. Keep your password recovery options up to date. Remember to update your password recovery email or phone number if you change your email or number. Loss of password means loss of personal data; you may suffer emotionally and economically as well. So do not take these things lightly. Using a password generator can create a secure password, but it’s tough to remember so create yourself rather than depend on such generator. Using a password manager can be a good idea but be careful while choosing the password manager. LastPass is one of the popular and well-rated password managers which you can try. Here is the list of Worst Passwords of 2019. We recommend not to use any of them. If one of your current passwords match with any of the worst passwords of 2019, don’t hesitate to change it. Be wise and secure your online identity. 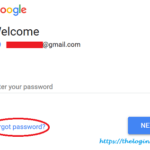 We recommend the following article by google too on making your password secure. Can’t remember Hotmail Password but remember alternative email address or mobile number that was linked to Hotmail email account? Then go through How to reset Hotmail password here and reset it quickly. 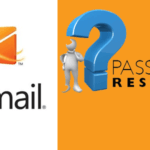 If you do not remember any of recovery options to Hotmail account, then fill out and submit questionnaire form by clicking ‘I don’t have any of these‘ option.